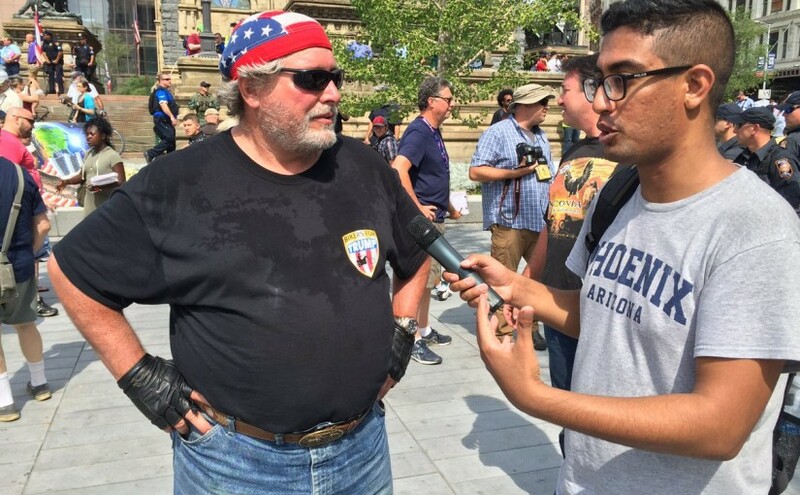 GroundTruth reporter Mohamed Abdelfattah interviews Jack, a Donald Trump supporter during the campaign. Photo by Jenny Montasir/GroundTruth. This piece was co-written by Charles M. Sennott. It’s time to face facts. The existing commercial media model alone will not sustain journalism, especially local news. The business model is broken, and it will likely worsen, as ever more local businesses turn to social media and search. We do think that this kind of journalism is a public service but it would benefit both the reporter, the news organization and the community. It’s also time to realize that the other crisis in media – the loss of trust – is not going to get solved just through better fact checking, though that’s essential. The twin crises of local news – the crises of the pocketbook and of the soul – threaten democracy, and require a dramatically different approach. We think the answer comes not only from the world of news innovation, but the hundreds of national and community service programs that have sprung up in the last few decades, such as Teach for America, Code for America, City Year and AmeriCorps. That’s why today we are launching Report for America – a privately-financed national service program for journalists. It’s based at the GroundTruth Project in partnership with Google News Labs, the Lenfest Institute for Journalism, and other innovative funders. In terms of structure, a national service model can help get boots on the ground, hundreds and ultimately thousands of new reporters into local communities. More important, the approach can also reawaken the spirit of public service in young journalists – or for those many who still have that idealistic drive, give them the opportunity to do the civically-important work that they’re desperate to do. Here’s how it’s going to work. Would-be corps members will apply to Report for America, in a process that will be highly selective. Tell us: do you have the skills and character to make a difference in a community right away? 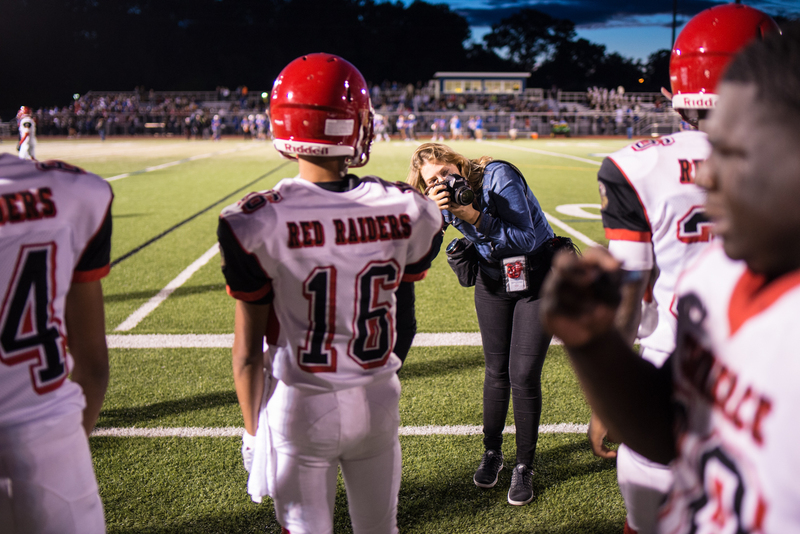 In a parallel process, news organizations will make the case for how they will put Report for America corps members to awesome use in doing needed local reporting. Any kind of news organization will be eligible: public radio, newspapers, digital native sites, journalism schools, or local TV. The selected corps members will be deployed in the winning local news organizations. Before they get there, they will undergo a rigorous training process, covering both meta-skills like how to help a community tell its story, to nitty gritty topics like how to read a municipal budget. What’s more, the Google News Lab, the Center for Investigative Reporting and Solutions Journalism Network will be conducting training that will give the reporters extraordinary skills that can bring value to a newsroom on day one. A pilot program will start placing journalists in early 2018. Both reporters and news organizations can let us know of their interest now. RFA will be able to actually expand the capacity of the local news ecosystem, creating more permanent local jobs – in part by unlocking local donors, large and small. They need a simple, relatively low-cost, reputable, effective way to help out. This provides the vehicle for those who have now come to understand that not only does democracy suffer in the abstract, but communities are less able to solve their own problems when they have lousy information. We’re also going to have a service requirement for reporters. Yes, we do think that this kind of journalism is a public service but it would benefit both the reporter, the news organization and the community for the corps member to engage in a more direct way. Our current favorite idea: have them work in local high schools or middle schools to help create or improve the student-run website, newspaper or program. Really, every high school in American should have a well-functioning student news operation. This will help develop leaders, and future journalist, and help build trust in the news media. There’s a perennial debate in the national service world over whether the programs are really for the communities or the servers. The answer, of course, is it needs to be for both. The reporters must do great work, genuinely improving the information available to local residents. But we do expect that this could be a transformative experience for the corps members. Even those who don’t end up staying in journalism will carry the experience with them, much as Peace Corps volunteers do. Perhaps they will be ambassadors to the non-media world, helping to explain what reporters do. Or perhaps they’ll take the very important skills they’ll be learning – how to tell the story of a community and how to truly listen to someone different from you – and use that in their next job. We all know “the media” is mistrusted by the public. Obviously some of that has to do with the attacks on the press rather than any deficiencies in reportage. But we also know that the current business model has made it very difficult for even the best intentioned journalists to do the kind of work that they want to do. Volume is emphasized over depth; click-bait over on-the-ground reporting; pontificating over listening. Most journalists want to strengthen communities, help those without voices, and hold powerful institutions accountable. Most journalists, in fact, are patriots. It’s time for an approach that will let them show that. It’s time to Report for America. Charles Sennott and Steven Waldman are the co-founders of Report for America. Sennott is the Founder and CEO of The GroundTruth Project and co-founder of GlobalPost as well as a longtime reporter for the Boston Globe. Waldman is founder of Beliefnet.com, LifePosts.com and author of books about both local news and AmeriCorps.